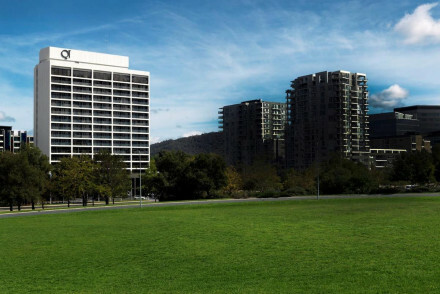 With its layout planned by a single architect, green and open Canberra isn’t like most capital cities. Firstly it’s an artificial creation, resulting from a fight between Sydney and Melbourne over who would be capital, built around an artificial lake, with many of its roads and suburbs pre-planned to allow for large pockets of green space. This looks nice, but it makes Canberra almost impossible to get around if you don’t have your own transport. A bike is OK, but a car is better. 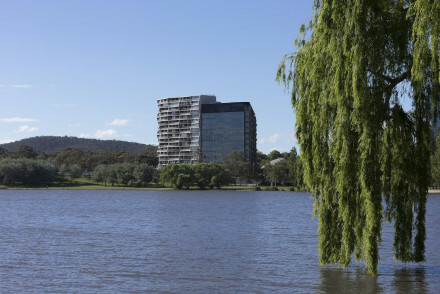 So more than in other capitals, it’s important that our list of the best places to stay in Canberra are relatively central to the action. While Canberra isn’t the most charming of cities, it does have some excellent facilities and plenty of money to run them. There’s also plenty of galleries and museums including the National Art Gallery, National Library, National War Memorial, the Science Museum (Questacon), National Film and Sound Archive, the National Portrait Gallery, the Canberra Museum, the Royal Mint, and all the embassies. Enjoy the range of natural pleasures: be it the walks up Black Mountain to the lookouts, up Red Hill to the cafe or up Mount Ainslie. The man-made lake with its many gardens and island - complete with Carillon and the Captain Cook Memorial water jet. In spring there’s Floriade, the flower Festival and there’s an annual Folk Music Festival. Plus, there are several theatres with plenty of funding, so there’s often a quality of production which seems grand considering the city’s population. The same can be said for some of Canberra’s restaurants. Outside of town there are some wonderful national parks to explore. Our pick of the best places to stay in Canberra range from charming boutique stays in a heritage building to sleek contemporary accommodation in a hip district. 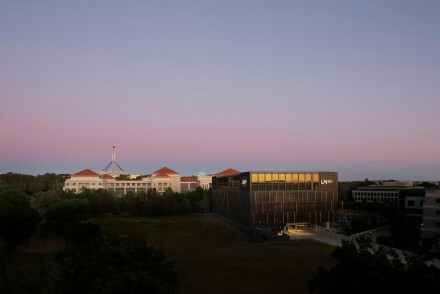 Canberra’s Hyatt Hotel occupies one of the city’s oldest buildings, a long, low structure just below Parliament Hill. This is a large hotel, with 252 rooms and suites and an extensive garden. The rooms have marble bathrooms and there’s plenty of Art Deco era marble in the public areas too. They also do a lovely afternoon tea. 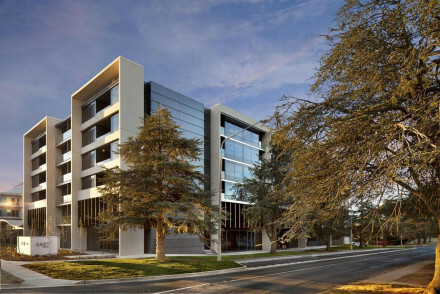 Peppers Gallery Hotel is a boutique hotel in Canberra’s ‘city’. Rooms are modern, with all the mod. cons. and there’s original art work on the wall. The restaurant has a great reputation and there’s also a bar, library and a lovely courtyard. If you'd prefer a self-catering option this holiday, don't hesitate to visit our online partner, Booking.com. Fly to Canberra Airport located 7.3km (4.5 miles) from the city with a range of flights across Australia and to International destinations including New Zealand, Singapore and Qatar. Alternatively, catch a train to Canberra with regular trains to Sydney amongst other destinations. If you want to rent a car to explore the city - click here for prices and booking with our online partner, Rental Cars. Best time to visit - the spring from September to November for pleasant temperatures for exploring the city. Alternatively, expand your search to include our recommendations in Sydney or Melbourne. 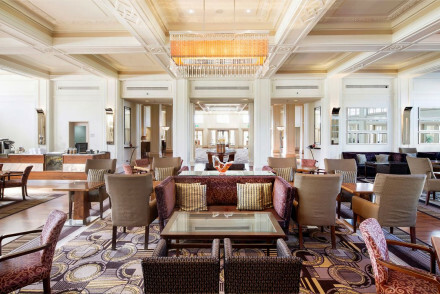 Heritage building turned boutique hotel in the heart of Canberra. 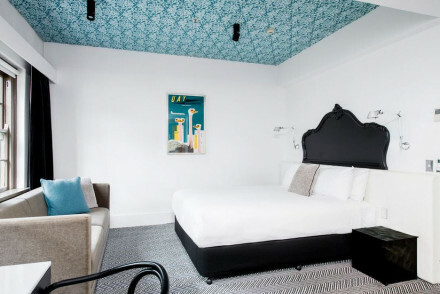 Contemporary rooms feature Bang & Olufsen TVs, rain showers and original art work on the walls. Renowned Bicicletta restaurant, library bar & charming courtyard complete the picture. Chic well-equipped apartment-style rooms in the heart of the city. Every detail has been considered from on-point contemporary design to well placed electric sockets and woollen rugs to curl up in. Featuring a vibrant bar and restaurants, popular destinations in themselves. A cool city spot. 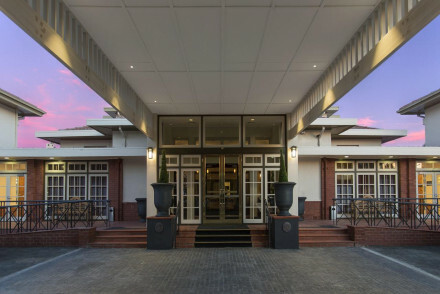 Housed in one of Canberra's oldest buildings, this five star luxury hotel boasts large rooms with marble bathrooms and extensive gardens in the heart of the city. The style is Art Deco but all the mod cons are distinctly 21st century. A luxury option for exploring the capital. Japanese inspired and minimally elegant, one of the hippest hotels in Canberra. A strong emphasis is placed on chic design and foodie elements, with a top quality bar and restaurant. Ideal for visiting the city's sights, with the Parliamentary Triangle just 5 minutes' drive away. Luxury design hotel in the centre of the political capital. With strong design themes, merging 1930's speakeasy elements with hipster details, popular with both city slickers and business people. Serving top-notch cuisine and particularly known for its gourmet breakfast spread. Former home to several Australian Prime ministers, fusing retro Art Deco elements with contemporary finishings. Featuring a gourmet restaurant and elegant bar. Ideally situated to explore the political capital's main landmarks. Right next to the Parliamentary triangle, an ideal location to explore the political capital's main landmarks. Tastefully minimalist with Japanese influences with rooms that feature impressive four-poster beds. Great value for money with free access to its sister hotel's 5-star facilities.